Have You Installed CertainTeed Vinyl Siding and Discovered Defects? No Expenses or Fees Unless You Win Your CertainTeed Vinyl Siding Class Action Case! 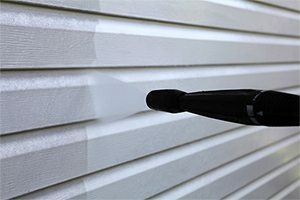 The skilled consumer and product liability lawyers at Parker Waichman are currently investigating claims against CertainTeed Corporation concerning defective vinyl siding products. If your CertainTeed vinyl siding has warped, rippled, degraded, or developed other major defects, contact our firm today to see if you might be eligible to participate in a lawsuit against the manufacturer. In a claim against CertainTeed, you need the most experienced legal representation to protect your rights. Parker Waichman has secured extraordinary results for our clients, garnering more than $2 billion in settlement awards and verdicts. In our firm’s practice nationwide, we have earned the trust and respect of colleagues, judges, members of the community, and most importantly, clients. We understand that you have not been taken seriously by CertainTeed, and you deserve to be compensated for the time and expense you have incurred because of this defective product. Allow our firm to help you navigate a potential lawsuit against CertainTeed to recover your costs and hold the manufacturer accountable for selling you a faulty product. CertainTeed Corporation is a manufacturer of residential and commercial building materials. 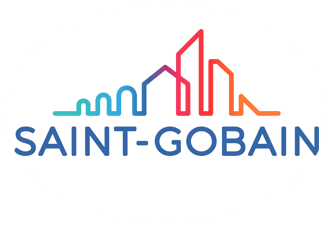 It is located in Malvern, Pennsylvania, and is a wholly owned subsidiary of Saint-Gobain SA, a French multinational corporation. In the building product industry, CertainTeed is well known for its residential siding products, which, according to the company, offer “affordable beauty, distinctive style, lasting performance.” CertainTeed’s product range includes a wide variety of vinyl, polymer, and composite siding options, and nearly all CertainTeed siding products come with a lifetime guarantee. However, consumers who have bought and installed CertainTeed’s vinyl siding have found that it warps, ripples, blisters, melts, discolors, or degrades with time and exposure to outdoor elements. And when they try to take advantage of their “lifetime warranties,” the corporation turns them away. Parker Waichman is investigating these consumer claims to help families who have been cheated out of substantial money associated with their CertainTeed siding. If you bought one of these CertainTeed vinyl sidings (or a different CertainTeed vinyl siding) and have found defects in the product, contact our firm today to discuss your potential options for recourse. The reoccurring themes in CertainTeed’s marketing of its vinyl products are beauty, convenience, and performance. The corporation purports its vinyl siding offers customers the opportunity to have a gorgeous home exterior with worry-free, minimal maintenance that will last through the ages. In reality, CertainTeed’s vinyl siding is fraught with problems. Customers spend substantial sums of money buying the siding and having it installed, only to find that it cannot withstand basic outdoor circumstances like sun and rain. They then end up spending additional money trying to have it repaired and hours on the phone with CertainTeed representatives who tell them they’re out of luck. Parker Waichman is helping families stand up to the manufacturer and recover their losses. It does not take much searching to find a plethora of negative reviews and dissatisfied customer complaints regarding CertainTeed’s vinyl siding. Many people have turned to review boards to try to warn other people who are thinking about buying this siding or to simply voice their frustrations because they feel like the corporation is completely ignoring them. Parker Waichman has documented some of the complaints we have seen, which quickly demonstrate a pattern of defects. March 2017 Contractor Review – Monogram Pacific Blue siding warped and buckled. Review came from a contractor who installed the siding and was disappointed in the way it performed. The lifetime warranty claim was denied for “improper installation,” but the contractor stated installation was per VSI specs. September 2016 Customer Review – Customer’s CertainTeed vinyl siding bubbled and warped on the warm sides of the home shortly after installation. Customer contacted CertainTeed to place a warranty claim and was told the damage was “a concentrated reflection from the sun and gutters.” The customer’s claim was denied. July 2015 Customer Review – Customer’s CertainTeed vinyl siding looked warped or melted about two years after installation. The customer contacted CertainTeed, and the warranty claim was denied. CertainTeed said the siding had not been properly installed. April 2015 Customer Review – Customer’s CertainTeed Pacific Blue vinyl siding became deformed and melted. Customer contacted CertainTeed and had the damaged area replaced. Shortly after, another area of the siding looked even worse, and CertainTeed refused to make another repair, saying the damage was caused by window reflection, roof reflection, or skylight reflection. All of the above reviews — and countless others online — show the same types of issues occurring with CertainTeed’s vinyl siding: warping, buckling, rippling, melting. And the reviews also show the same response from CertainTeed regarding warranty claims: blame the problem on something else, and deny the claim. CertainTeed sells its siding with lifetime warranties, but in actual practice, it does not honor these warranties. If customers have problems, or when they discover defects in their siding, they cannot get assistance from the manufacturer. This is unacceptable, and unfortunately, it is not the first time CertainTeed has been under fire for this type of conduct. A class action lawsuit is a legal filing against one or more defendants that includes a few named plaintiffs who represent a much larger “class.” Only a few people are actually named in the lawsuit, but the suit encompasses the claims of many more people. To have a class action, certain factors must be established with the Court. The legal factors, per federal rules, include (1) numerosity; (2) commonality; (3) typicality; and (4) adequacy. Plaintiffs’ counsel essentially must prove to the Court that a class action is necessary, and the selected plaintiffs are sufficient representatives for the whole group. The Court will then “certify” the class and allow it to proceed. After you have already been through an exhausting warranty claim process for your vinyl siding, you might think moving forward is not worth the hassle. We understand this is not something you want to continue to stress about, so we make the case intake process as easy as possible. Right when you contact our firm, you will feel more at ease, knowing you’re working with people who care about your claim and want to help you receive the compensation you deserve. What Might Class Members Recover from the Suit? We will do everything we can to maximize your recovery, which means capturing the full picture of how your defective siding as affected you. You deserve to be compensated for the time, expense, and damage you have incurred because of this faulty product, and Parker Waichman will fight to make that happen. Statutes of limitations are imposed by all states to place time restrictions on filing lawsuits in court. When these limitations expire, a person can be completely barred from filing his claim, regardless of its merits. States enact statutes of limitations to encourage people to act quickly after they discover they might have a legal claim because swifter action generally results in higher-quality evidence for trial. 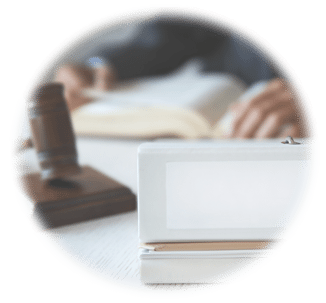 When people file their cases sooner rather than later, relevant records and business documents will likely be available and retrievable for use in depositions and trial. States also do not want to place potential defendants in situations where they have to anticipate lawsuits indefinitely. At some point, the potential for a claim needs to expire. Every state decides its own statutes of limitations, and they can vary depending on the nature of the case and the damages claimed therein. Particularly in a consumer case like CertainTeed siding, it can be difficult to determine when the clock started running. Any miscalculation can potentially mean you are unable to ever filed your claim. The very best way to make sure you are protected and have the correct statute of limitations on your potential siding claim is to work with an experienced lawyer. When we sign up any case at Parker Waichman, we immediately investigate the facts and circumstances of the case to arrive at the appropriate statute of limitations. When you work with us, you can be sure that your case is in capable hands. To learn more about your potential claim’s statute of limitations, contact our offices today. We know that in signing a case contract with us, you are placing your trust in us, and we take that very seriously. We work steadfastly to obtain the results our clients need, and our track record shows we are committed to success. Our attorneys are invested in people and are dedicated to helping consumers and their families recover losses when they are taken advantage of by greedy corporations. Together, we can hold CertainTeed accountable and make the industry fairer for people in the future. Contact Parker Waichman today for a free case consultation. You have legal rights as a consumer, and we can help you protect them. If you bought and installed CertainTeed vinyl siding and have since discovered defects in the siding, contact our firm today by filling out our online form or by calling 1-800-YOURLAWYER (1-800-968-7529) for a free consultation.